Is it possible to like Local Natives without liking Arcade Fire or The National? Surely, the answer is ‘no’. Hummingbird is produced by Aaron Dessner of The National and there’s plenty of Arcade Fire-style frantic drumming. ‘Wooly Mammoth’ perhaps peaks in that regard. Actually, though the answer is ‘yes’. 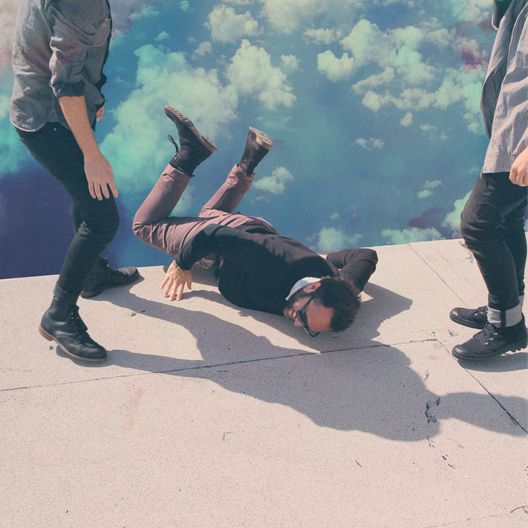 What’s nice about this album is that Local Natives have moved on. Their first album, Gorilla Manor, was thin, bitty, jejune. In fact, it was jam-packed full of jejunosity. This album, though, is plenty june. That’s what Aaron Dessner has brought to it. The fear was that he’d try to make Local Natives into a different band. His band. But what he’s done is given them a full-on sound and the confidence to express some nice songs really well. ‘Breakers’ is huge and expansive, but under control. In stark contrast, ‘You and I’, ‘Ceilings’, ‘Three Months’, and ‘Colombia’ are more subdued and sound good partly for that reason. And there it is. In the press for Gorilla Manor, Local Natives were sold as an indie band with an afro-beat. The album got good reviews. So, why not carve out a niche in such a crowded marketplace by seriously upping that beat? The thought must have crossed their mind. Thankfully, they haven’t given into that temptation. Mostly anyway. Instead, they’ve emphasised the melody and the arrangements. If you like the drumming it’s still there. If you don’t like the drumming it’s still there, but it’s not dominant. If Local Natives did take a step back and made a choice about what direction to go in, it was the right choice. It’s always summer somewhere. This could be Foxygen’s motto. 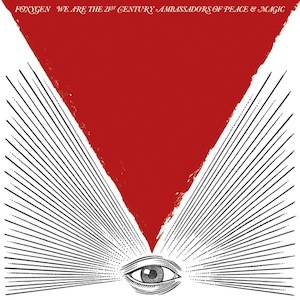 In the depths of a northern-hemisphere winter, Foxygen have released a blast of warm air and all-embracing sunshine. Nothing could be more welcome. More laid back than Ty Segall, Ariel Pink or Darwin Deez, Foxygen indulge themselves in 37 minutes of slacker psych. The influences are there for all to hear. ‘San Francisco’ is the west coast cousin of Village Green or Arthur-era Kinks. The title track is a missing mid-60s gem by The Rolling Stones. The chorus from ‘On Blue Mountain’ doesn’t so much resemble ‘Suspicious Minds’ as pass itself off as its long-lost twin brother come back to claim some of the copyright. In some hands, all of these influences would generate a soon-forgotten pastiche of an album. Here, though, they live side-by-side in the same song, in the same verse, sometimes in the same line as original Foxygen material. And that’s because each track is buzzing with ideas. So, even if the chorus on ‘On Blue Mountain’ does sound suspiciously like a well-known Elvis song, none of the rest of the track does. It’s three, four, five songs in one. It’s a lot to take in. And that’s the very beauty of the album. You keep desperately wishing, hoping, imploring them to give each song more structure, to make it cohere. But it’s the looseness, the agglomeration of ideas that makes it such a compelling listen. Maybe one day Foxygen will be a stadium band, belting out beautifully crafted and utterly boring sing-along anthems. Maybe they’ll end up like The Darkness, a parody of a band lost in a sea of influences. Maybe, though, they’ll continue to walk the fine line between imitation and innovation. Matthew E. White – Big Inner’s Luck? This album suddenly disappeared from Spotify a couple of weeks ago. Disaster. Turns out it’s being re-released today probably because of all the great reviews it’s been getting. Good news. This review was published a few weeks ago, but here it is again in a slightly revised form to celebrate the re-release. Indie-R & B crossover. A tempting proposition? In theory, probably not. But, in practice Matthew E. White pulls it off and how. There are plenty of R & B tropes. The horns, the female backing vocals, the skittery drumming, the sometimes funky bass. Yet this is no pastiche. Even when there’s a sort of riot going on – ‘Big Love’ being the prime example – there’s no R & B sound explosion. This is a quiet album. It’s partly due to the pace. 40+ minutes. Seven tracks. There’s no hurry. The songs are allowed to develop, gently shifting tempo as they go along. It’s also partly due to Matthew E. White’s vocals. They’re not quite whispered, but they’re always calm. Double-tracked, they insinuate themselves into your head. If there’s a flaw, it’s that the exercise doesn’t quite have the legs. ‘Hot Toddies’ ends with two minutes of experimentation that bears no relation to the previous 3 and-a-half. The near 10-minute closer ‘Brazos’ ends with the same phrase being repeated for just shy of six minutes. Yes, the sound builds during this time and you can imagine it inducing a trance-like state in some circumstances, but only rarely. A bit like Daughn Gibson’s equally left-field album last year, Big Inner doesn’t sound like anything else. And that’s the beauty. Despite the obvious early 1970s references, Matthew E. White doesn’t let the album sound like them or anything that’s around at the moment. It would have been so easy to give in to temptation and just let the funk pour out. That he doesn’t, but instead creates something so distinct is what makes this album such a success. Girls had a real schtick going. They sang love songs. Sad love songs. But love songs nevertheless. Sad love songs with lots of guitars and Beach Boy-like harmonies. What a fantastic combination. ‘Carolina’ from the Broken Dreams Club EP being the very best example. Sadly, Girls are no more. Happily, the driving force behind Girls, Christopher Owens, still is. 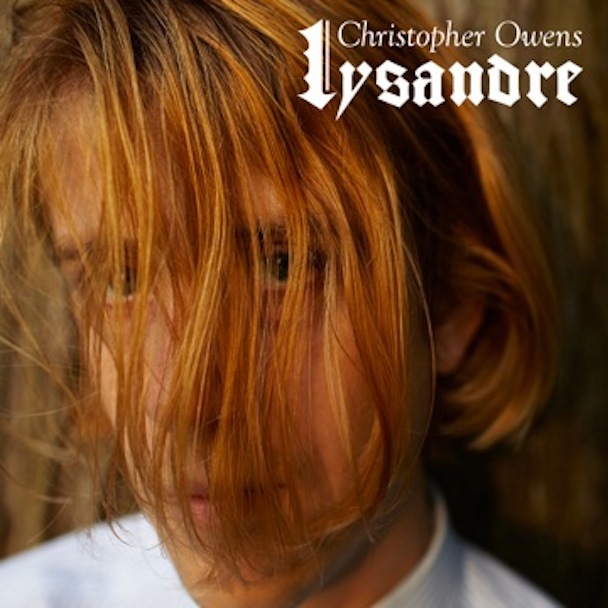 Lysandre is Christopher Owens’ first post-Girls album. Given he was the voice of the band, the new album sounds, from a lead vocal perspective at least, just like a Girls album. More than that, Lysandre is a suite of love songs. Sad love songs. It’s the story of Christopher meeting and breaking up with the eponymous Lysandre during a Girls tour a few years ago. But, there the similarities pretty much end. There are guitars, for sure. But they’re not the driving force. Instead, the instruments that stick in the mind this time are the flutes and saxophones, both of which feature prominently on a number of songs. And while Owens’ voice is still front and centre, the Beach Boy-like harmonies are now few and far between. More than that, this is a very slight album. Even if the last Girls album – Father, Son, Holy Ghost – included perhaps a couple of tracks too many, this one clocks in at barely 30 minutes. This isn’t a good start. Yet, Lysandre has various things going for it. For one, it’s a very cohesive listen. The repetition of the Lysandre theme, on flute, sax, guitar, ties the different tracks together. And then there are some nice songs. ‘Here We Go’ is a great Girls-like sad love song. ‘Here We Go Again’ is a great Girls-like sad love song with guitars. Ah, the good old days. In the end, though, the album raises more questions than it answers. Is it so brief because it’s a stop-gap album? Will a fully realised Christopher Owens album follow next? Does it sound so gentle because it’s a Christopher Owens solo album? Girls were always a fairly amorphous group, but has the split from long-time collaborator Chet “JR” White taken away the energy from the sound? Who knows? There’s just about enough in this collection to keep the momentum going. The next album will be the real test. Once again, for 43 extraordinary minutes Conor O’Brien lets us inside his sometimes weird and always wonderful head. There’s certainly enough in there to keep his psychotherapist busy. “Naked on the toilet with a tooth brush in his mouth”, he sings on ‘Earthly Pleasures’, “When he suddenly acquired an overwhelming sense of doubt, Every single piece of baggage he’d been holding on his back, Was beginning to dig-dig-dig in and-and his back began-began to crack” as the song literally breaks down. But his psychotherapist would be pleased. Rather than bottling things up, Conor knows how to express himself and beautifully at that. The temptation with a Villagers album is to read the songs as autobiography. On this reading, Conor cracks up, mainly because he’s having difficulty writing songs. “Then off goes the the bell ringing through my head”, he sings, “signifies that all’s been said”. Through doubt, and lots of misery, he comes across a newfound land and emerges as the “rhythm composer” of the final track. Well, perhaps. But if that narrative were even partly true, there would still be more to the story than anyone apart from Conor O’Brien could ever know. He might lift the lid on his world, but we can never really comprehend what is going on inside. Whatever the story, words by themselves are never enough. They have to fit with the music and here they do so beautifully. 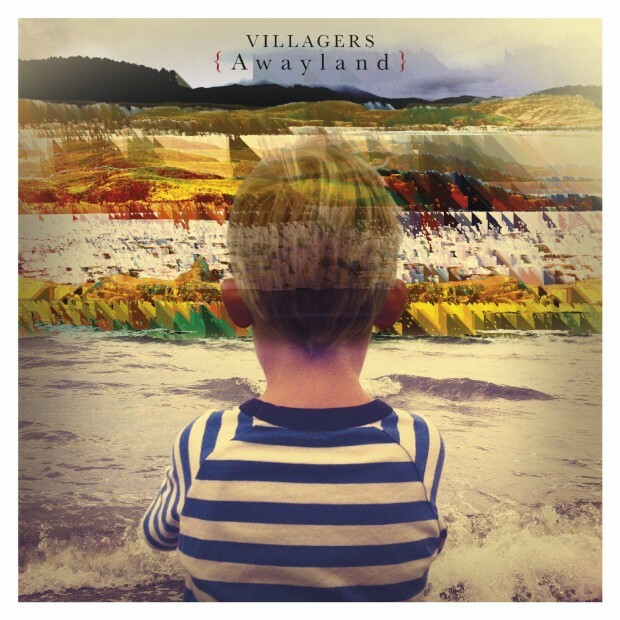 With this album the Villagers sound is much fuller. There’s a real band. What could easily have been Jackal pt. 2 becomes something new. Upbeat. Lively. Definitely not miserable or harrowing or self-indulgent. Still piano and guitar-led, there are horns, strings, some electronica, a xylophone, and host of other sounds, including a braying donkey. But nothing, even the donkey, is overstated. Everything fits together organically. And over the top of it all is Conor O’Brien’s voice, which makes the experience more transcendent still. It’s just possible that Conor O’Brien has to go through a whole bunch of stuff to deliver such magnificent albums. If so, then nobody would wish it upon him. But if it is the case, then at least we get a glimpse into the mind of a truly rare talent and with the music to match. Reviewing only new releases means that some slip through the net. The holiday lull provides some time to catch up. So, here are a few thoughts about an album that was missed first time around. As a former member of Crystal Stilts, The Vivian Girls, and The Dum Dum Girls, Frankie Rose is all-girl garage/shoegaze band royalty. Sure, as in all royal contexts, there’s a fair amount of in-breeding involved. But this is an indie family tree that most would-be all-girl garage/shoegaze bands can only dream of. Having been a serial band member for some time, Frankie Rose has now stepped out on her own. Interstellar was released way back in February last year. In some ways, it’s not much of a departure. Heavy with synths throughout, there are tracks with driving baselines and powerful percussion. There are also slower tracks with swirly themes. 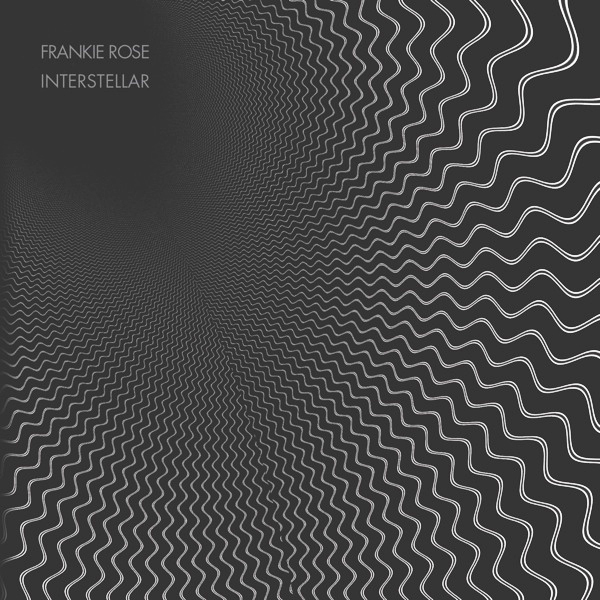 Whatever about its musical novelty, Interstellar is a great listen because it’s packed full of memorable hooks. ‘Know Me’ is simply impossible not to hum. ‘Gospel/Grace’ has a great tempo. And then there’s the swirly numbers. The highlight is ‘Pair of Wings’. The lyrics are not Nobel Prize for Literature material, but, again, the melody will stay in your head. Whether it’s the slow songs or the quick ones, what makes the album stand out is Frankie Rose’s voice itself. It’s only pushing it a bit too far to say that it has a Victoria Legrand quality to it. The similarity lies partly in the presence of so many looooong vowels. But also partly in the relaxed delivery. It would be easy to shout along to the up tempo numbers, making them angry statements. Instead, the vocals are always restrained, yet still strong. This is no fey dream pop album. This is a mature work by an artist with a royal pedigree who has learned how to make the most of her voice and her own material.